One of the hotter Christmas gifts this year seems to be stereo headphones. The price point seems just right (low end $100, high end hundreds) and for some reason the teen crowd just doesn't think the standard ear bud headphones are good enough audio quality. I recently had the chance to try out some Flips headphones from Flips Audio. 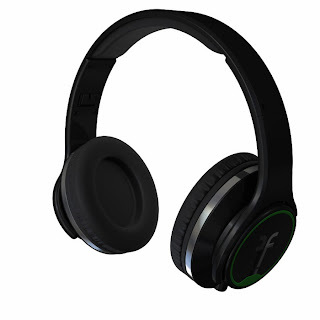 The Flips headphones retail for $120 so are at the low end of the price range for the product category. 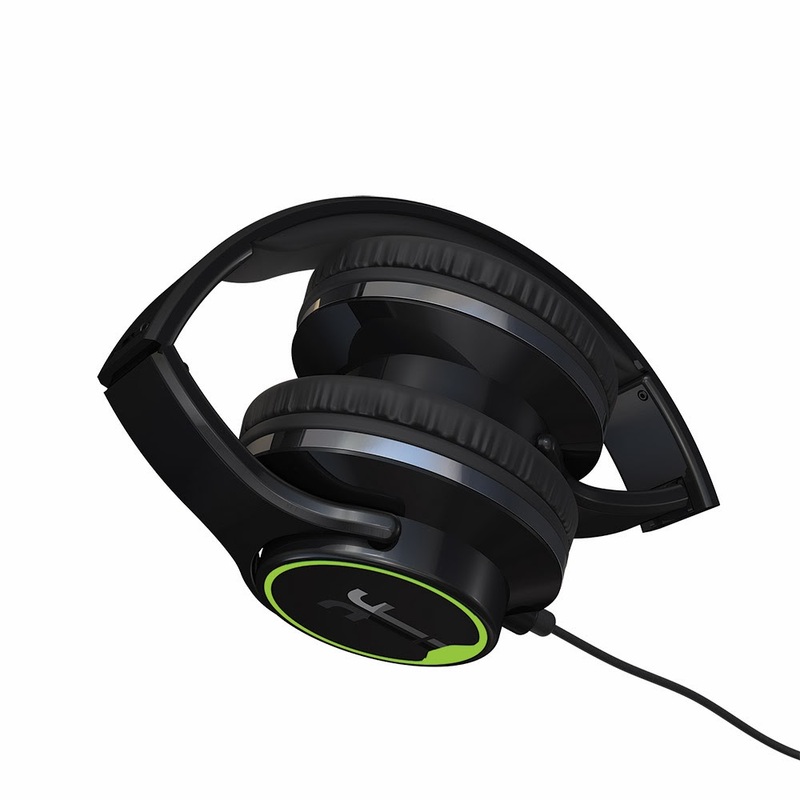 They offer hi def audio with comfortable memory foam padding. They'll work with any device that supports a 3.5 mm audio jack, which is the common jack for phones and tablets that are out there today. 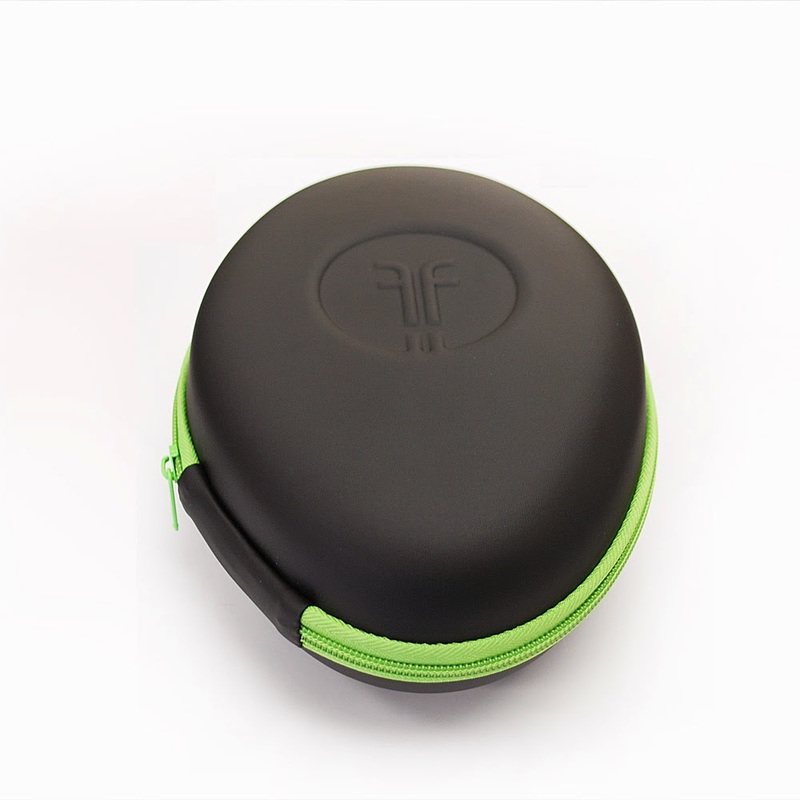 They also fold up tightly and fit in a great looking case, so are very portable. What makes these headphones different than all the other ones that are out there? Well, if you look closely in the picture upper left, you may notice a USB connector. Why, you might ask? It is for charging a lithium polymer battery. The battery is there because the headphones flip out and turn into social speakers. So, with one pair of headphones, you have both personal headphones and social speakers. 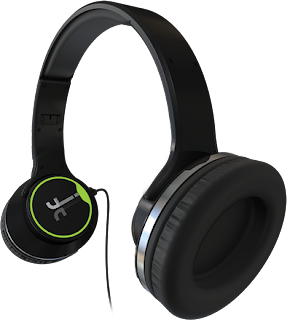 Flips Audio calls this Solo 2 Social, where you can go from one mode to the other at the flip of the earpieces. Both earpieces must be flipped for the speakers to work, and, you must keep them charged if you are using them as a speaker often. The day before Thanksgiving was a rather slow and quiet day at the office with nearly nobody there. 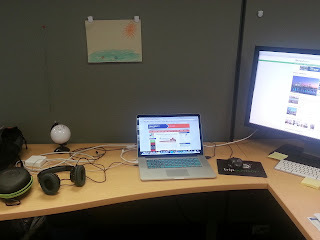 So, I broke out the speakers in social mode. Here's where I forgot to keep the headphones charged, but once I had the USB port connected they sounded great. And I just had to flip the earpieces around when a few more people showed up. I don't have to flip back and forth between my headphones and external speakers with the Flips headphones. I really like these headphones and I'm thinking about picking up another set or two as presents for Christmas. They come in only black or white for now, but the $120 price point is hard to beat for what you get. Wow, these are awesome! They look comfy to wear!